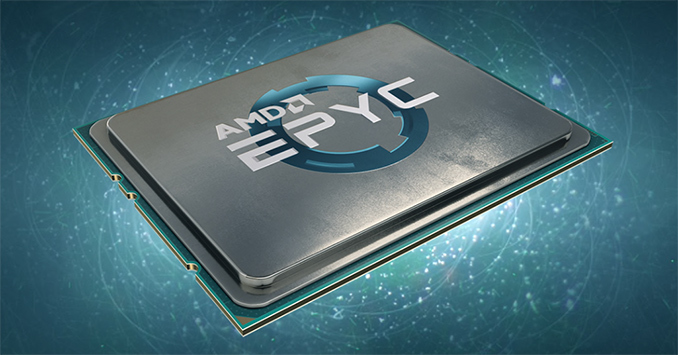 AMD has announced its new high-frequency EPYC 7371 processor designed for applications that benefit from high clocks. The CPU has 16 cores and is aimed at tasks like electronic design automation, high-frequency trading, and other. The EPYC 7371 can work in dual-socket configuration, thus offering up to 32 cores and 64 threads per box. The AMD EPYC 7371 processor features 16 cores with SMT (spread across four eight-core Zen dies), 64 MB of L3 cache, an eight-channel DDR4 memory subsystem, and 128 PCIe lanes. The CPU features a 3.1 GHz default frequency, yet can run all cores at 3.6 GHz, or just eight cores at 3.8 GHz. Being aimed at workloads that need a high single-thread performance, the EPYC 7371 takes advantage of its massive L3 cache along with its rather high frequencies. Meanwhile, its ability to work in dual-socket configuration is a major advantage that the EPYC 7371 has over other high-clock CPUs because the processor still enables 32 physical cores and 64 threads per system. EPYC7 7371 16 / 32 3.10 3.60 3.8 ? ? What is particularly noteworthy about the EPYC 7371 processor is that it is not officially listed over at AMD’s website. Perhaps, this part was initially offered to select customers only as an “off-roadmap” SKU, but demand from HPC vendors and traders encouraged AMD to expand availability of the chip to a broader range of its customers. AMD plans to start selling its EPYC 7371 chip in Q1 2019, so before its next-generation EPYC ‘Rome’ chips will become available. The manufacturer did not touch upon pricing of its chip as it will naturally depend on volumes and other factors. Here was one EPYC 7571 too.